Clients and prospects expect your website to be up-to-date and informative. But don't spend your billable time coming up with fresh content for your site. Use Quik-Links and let us do the work for you! 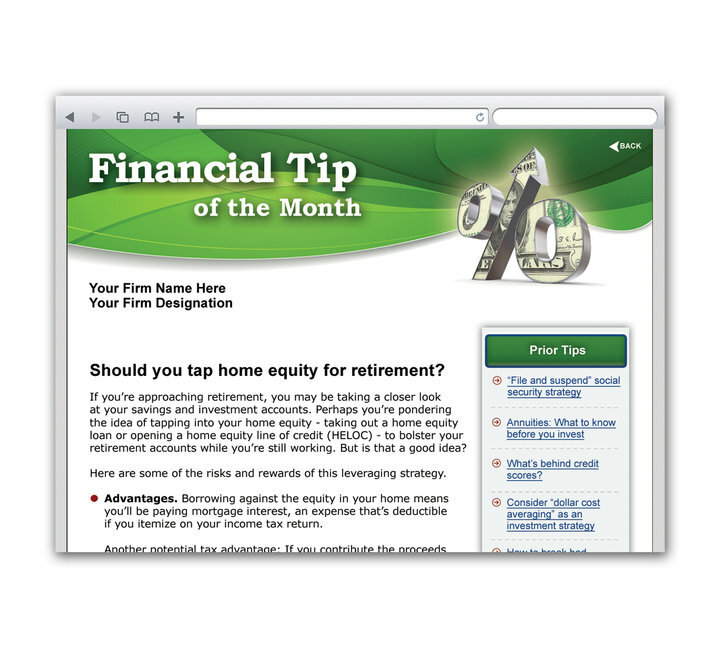 Tips and guidance on IRAs, saving for college, retirement issues, and other financial matters are written in plain English by accountants like yourself, and these links make it easy to keep your site fresh and current. Plus, the links are so easy to use! Simply add to your website, or email business clients each month a new tip is published to keep your firm top-of-mind!